Wedding planning is very stressful, especially the last two months before your big day. You might not drink enough water, you might not be able to sleep well. You start to get breakouts on your face and your skin gets very dry. What can you do? Grace Pei, our LA boutique owner, has summarized the 11 best skincare products for you to save your skin before your big day. Of course first, you have to relax, drink your water, take your vitamins. You do not want to save money on your skincare products and you will want to follow a good routine to restore your skin to the best ever for your big day. You don’t have to use the most expensive ones, but the good ones. All the following products we recommend you trying for a few nights. If your skin starts to feel uncomfortable, stop using it right away. 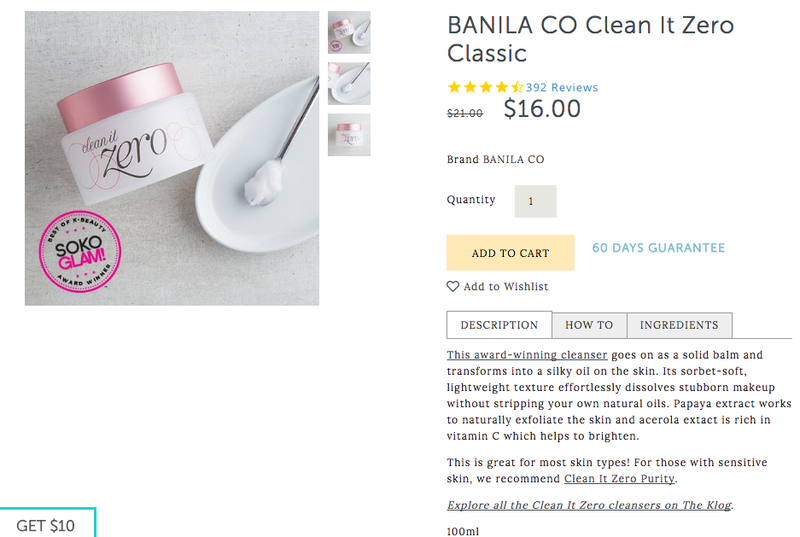 Cleanser: If you are like Grace, someone who is lazy and does not want to go through 5 steps of cleaning and removing your make up, this is your to-go product. Massage this product onto your face for 2 minutes, remove it with warm water. It feels like oil balm at first and then turns into milk afterwards. It will not make your skin super dry after using it. Try it out, it’s so affordable and it works really well. Korean skincare routines have been really popular these last couple of years, it's worth a try. Serum: Serum is always a must-have step for your daily skincare routine. Just a few drops, apply gently to your face, massage for half a minute, avoid the eye area. Eye cream is very important for a bride-to-be especially 2 - 3 months before your big day. You might get dark circles, puffy eyes or dryness around your eyes. Here are two products to help you. First, let’s apply this antioxidant complex. It’s a gel, pat around your eyes gently till it absorbs. Second, let’s apply this thicker eye cream on top. It’s a light cream that absorbs really well. Recommend to use day and night. Here comes the best part. Choosing the right cream for your skin is very important. It acts like a protection layer on your skin to give you brightness and energy. Cream for everyday: After your regular moisturizer. It’s an anti-aging product that gives your skin full of energy. Concentration Cream for twice a week: This is a product that you could use twice a week to treat your skin for a spa. It has full of natural ingredients and smells like a herbal tea. Neck Cream: Never forget about your neck! Especially when you wear a strapless wedding dress. You don’t want people to see your wrinkles, you definitely want to show your long and flawless neckline. Massage this product to your neck twice everyday. It works really well, please start using this cream early to see it works. It’s a life-saver if you do not have time to do a lot of skincare routine, Use these products twice a week for three months before your wedding. It will help! Sleeping Mask: If you are lazy, use this one and leave it on your face before going to bed. Do not use a lot, otherwise you might feel it is too heavy. Hydration Mask: This one is THE BEST….. You just have to try to tell how well it works. It’s a oil and power mix. It comes out a light pink gel that you put it all over your face. Leave it for 20 minutes and wash it away. You will have your baby skin back on the next morning. A little secret step: Put a drop of Vitamin C serum to your moisturizer. Just a drop everyday. You will see how amazing your skin will change after a month. Last but not the least, Camera ready primer. After all these beauty steps, you will need a product that help you minimize your pores on the big day for photogenic skin. Apply this product after your skincare routine. It will reduce your poles and give it a silky touch and get the skin ready for any makeup products. Trust me, it takes me a while to find this product and it works every time.